Want to try Lacrosse out First? Join AZGL coaches for FREE girls lacrosse clinics held throughout the year. All girls in grades K - 12 who want to learn about the fastest growing sport in the nation are welcome. Click here for more detals or download a general flyer here. Join Coaches Jessica Barden at a Gamebreaker lacrosse camp at Northern Arizona University (NAU) in Flagstaff, AZ. Join Coaches Jessica Livingston Barden and Tyna Murphy at a Gamebreaker lacrosse camp at Northern Arizona University (NAU) in Flagstaff, AZ. Join AZGL coach Jessica Livingston Barden and Tyna Murphy at a Gamebreaker lacrosse camp at Northern Arizona University every summer. 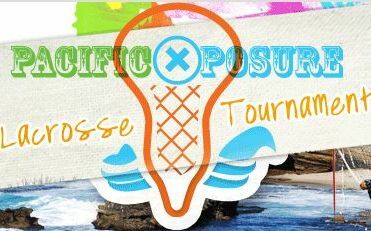 We will have multiple teams in this event, the U13 ( participating in the Lax Fest) and a U15 team (participating in the Championship RQ). If we have more interest we may have more teams. We are hoping to keep our U15 team together to play in the U15 National Championship Regional Qualifier in Texas. See below event for more details. Lax Fest: Click here for more details. U15 Natl Champs: Click here for more details. Tryouts will be held for this tournament as this team will represent Desert Heat's Elite. 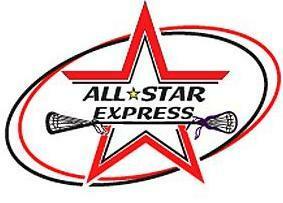 Players that do not make the Elite team will still be able to play in the USL Lax Fest and the California Lax Classic. Tryouts are at Cochise from 4:30-7:30pm on April 30th. If we qualify in Texas, the Championship finals will be played at ESPN Wide World of Sports in Lake Buena Vista, Florida on Junly 20-22. Click here for more details. Join AZGL coach Jessica Livingston and Tyna Murphy at a Gamebreaker lacrosse camp at Northern Arizona University every summer. The California Lax Classic Lacrosse Tournament will take place in sunny San Juan Capistrano, Orange County, California at a world class facility. The California Lax Classic is attracting teenage talent from across the country. 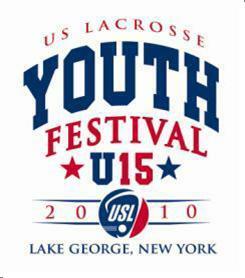 We will take a U15 team for a weekend of non-stop lacrosse action. Click here for more details. This event is a combination of a youth lacrosse tournament for both our AZGL travel teams and Disney entertainment. Come experience competitive lacrosse by day and the thrills of the Disneyland Resort by night! Sign up for our Fall Desert StiX Elite or Heat Club to participate. This is a post-collegiate tournament that we will take our AZ STORM team to. If you want to keep playing lacrosse it doesn't have to stop after college. Come play with us and see what the vegas tournament is all about. This is a local tournament that brings out of state competition to Arizona. We will have both our AZGL travel teams competing in this event. Sign up for our Desert StiX Elite or Heat Club to participate. Sand Storm Lacrosse Festival takes place at the Empire Polo Club in Palm Springs, CA. In its third year, this club lacrosse tournament will feature 2 days of high level competition amongst a field of over 45 teams in 3 divisions competing for a championship. We will be taking our HS travel team so sign up for our Heat Club to participate. This is an under 15 tournament. This event gives teams a venue to come together to "Honor the Game" of lacrosse, playing competitively while displaying dignity and class both on and off the field. The ideals of respect, sportsmanship, connection, team spirit, trust, leadership and tradition are at the core of the philosophy behind this event. This is a high school tournament (classes 2010-2013). We will take the first 18 girls that want to participate. We will also have a recruiting seminar for all players. Cost is currently estimated at $400 per player. If we have enough interest, we will take two teams. The California Lax Classic Lacrosse Tournament will take place in sunny San Juan Capistrano, Orange County, California at a world class facility. The California Lax Classic is attracting teenage talent from across the country. We will take a U15 team for a weekend of non-stop lacrosse action. This is another chance for high school players (classes 2011-2013) to be seen by tons of college coaches and we will be working a recruiting seminar w/ this team. Cost is currently estimated at $800 per player. please visit the US Lacrosse event calendar.